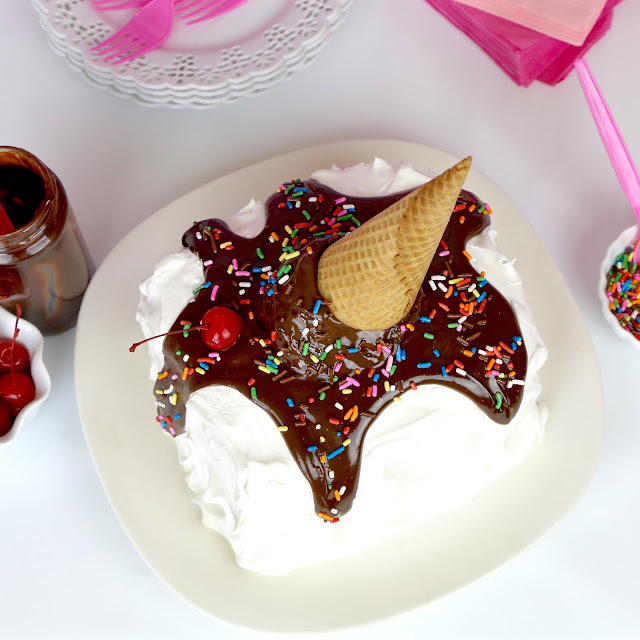 These fun melt-free cones are a perfect party treat! 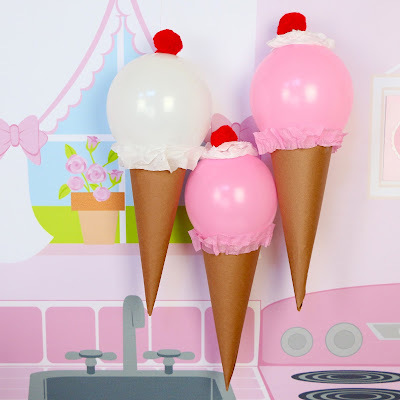 Everyone really gets a kick out of these when they find out that their ice cream cone is really a cupcake and frosting in disguise. 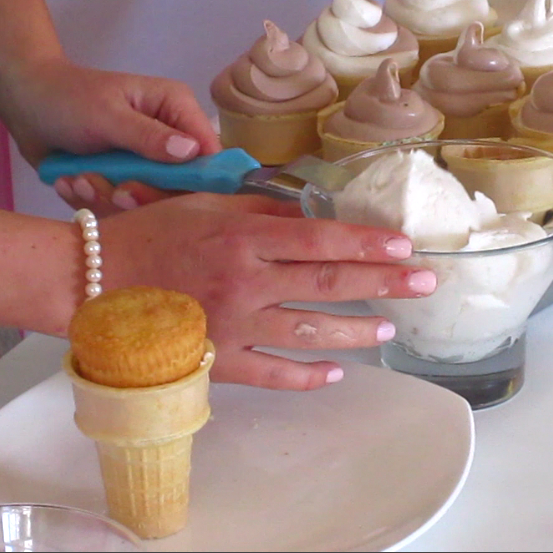 You can go for a classic scoop or opt for a fun soft serve swirl look depending on if you spread or pipe on your frosting. 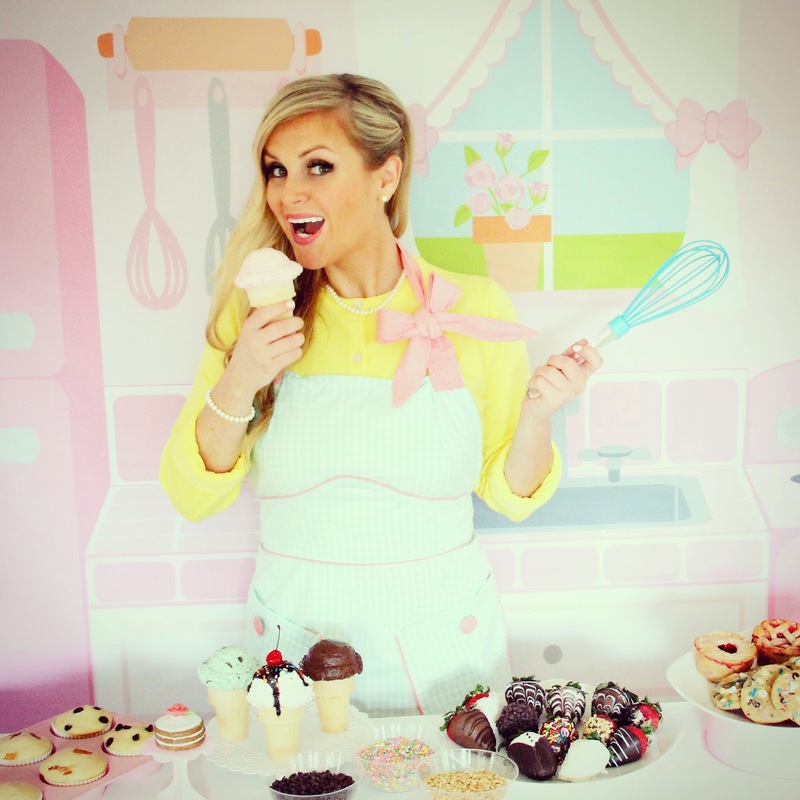 You can even coordinate the flavor of the cupcake with the flavor of the frosting for a really fun treat. 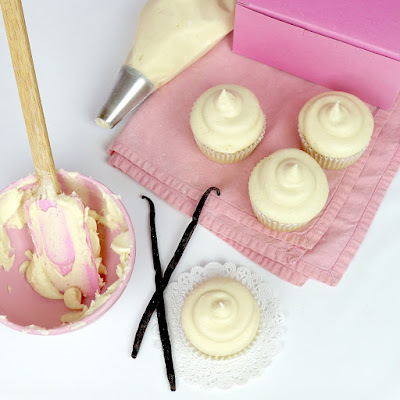 I just used my classic vanilla cupcakes and buttercream frosting recipe with tons of flavor variations. 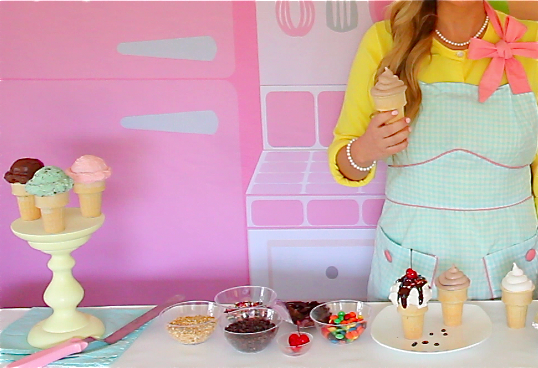 For the classic look, stick a pre-baked cupcake into a candy filled ice cream cone. 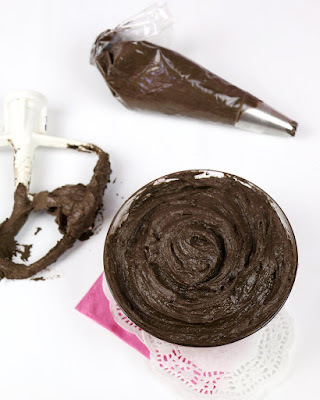 Here is a link to my favorite vanilla and chocolate cupcakes. Then, frost away in any flavor you choose. 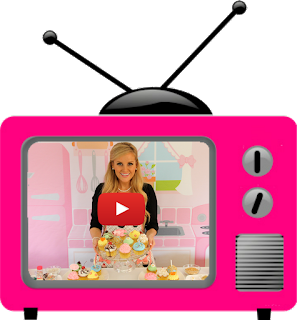 Click here for my favorite buttercream frosting recipe with tons of flavor variations! 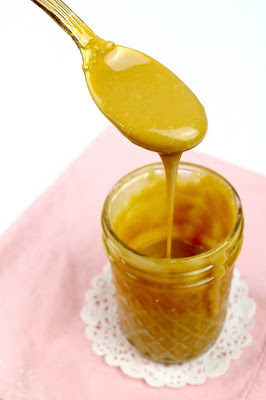 Add toppings if desired and they are ready to serve. 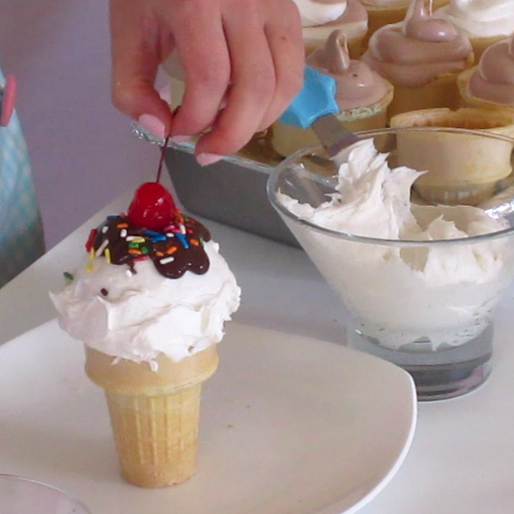 You can also leave the frosting cones out at a party with a variety of toppings for kids to get creative and decorate their own cupcake cone! You can create any flavor you like. I made strawberry, mint chip, chocolate and vanilla, all out of the same batch of buttercream! 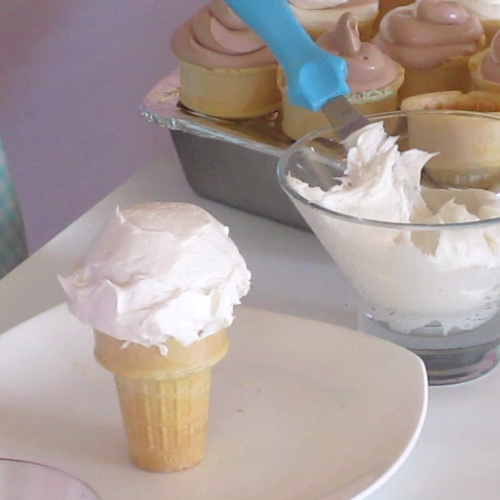 If you want to actually bake the cupcake in the cone, simply fill batter only half way up the cone, so it doesn't rise and over flow over the top of the cone. 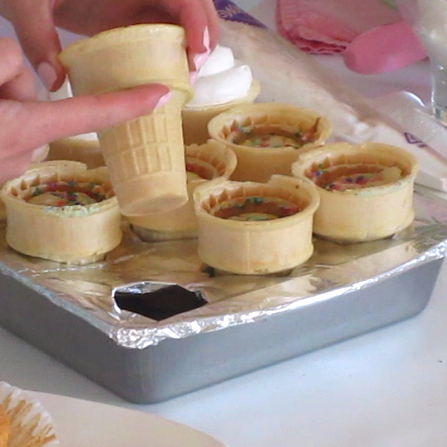 You can push each cone into slits in a baking pan covered in foil, to keep it upright and in place while baking. 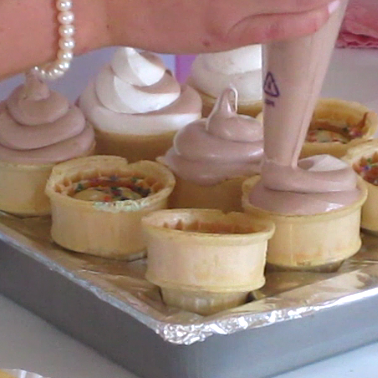 Once cooled, frost to resemble a swirl of soft serve or scoop some frosting on top and roll in desired toppings. 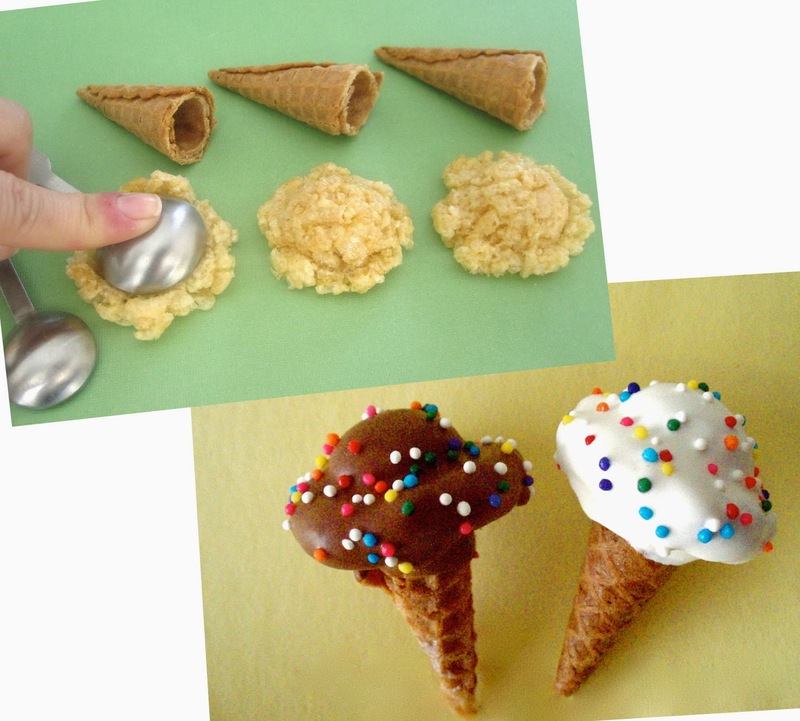 If you don't want to bake cupcakes you can also stuff the cupcake with marshmallows, use rice krispy treats or even top the cone with a meringue cookie! Click the links below for more details on these fun alternatives! Which version do you like best? !